I decide to give this column a miss for a week, and the reviews just pile up, which is why I’m posting this one on New Year’s Eve rather than letting it go another week. My first review for this past fortnight was for Granblue Fantasy Part 2, the conclusion of the first series as released by MVM. What started off as a predictable and formulaic TV show became even more so in its second half, committing the cardinal sin of constantly reminding me of the better shows that it was aping. Taken on its own merits it’s watchable enough. Assassination Classroom was one of the better Shonen Jump adaptations in recent years, offering a twist on the usual genre tropes that made for compelling entertainment. The tale of a middle school class tasked with assassinating their super-powered ‘alien’ teacher before he could destroy the world offered something new and imaginative. If there’s one thing that anime studios know how to do, it’s turn new and imaginative into dull and tedious. 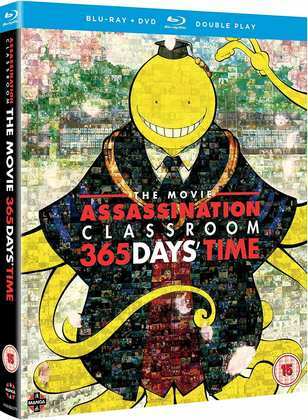 Assassination Classroom The Movie: 365 Days’ Time is a recap compilation movie. 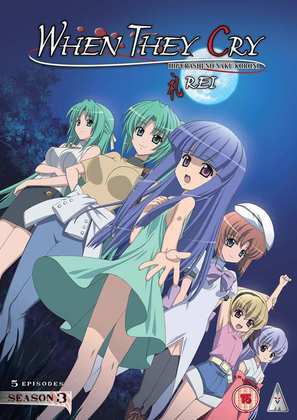 The disappointment continued with Higurashi: When They Cry – Rei, although they actually took a chance in offering something new and creative with these OVA episodes. Okay, there’s not a lot that is new and creative about a swimsuit episode, and a romantic comedy hijinks episode, but the middle three episode arc of this collection continued the story in a believable and character appropriate direction. It’s just in its execution that this story falls flat. If you thought Granblue Fantasy was derivative, it’s not a patch on Kabaneri of the Iron Fortress, a show which is so reminiscent of other shows it should come with footnotes and references. But Kabaneri kicks off with such an energy, such a sense of fun that you’ll be tempted to forgive its more obvious homage, at least at first. It’s a feudal era, steampunk zombie show, that tells the tale of the survivors of humanity fighting the zombie menace from armoured steam trains and fortified stations. Great fun at first, it runs into leaves on the line towards the end. See if it’s totally derailed by clicking on the review. Finally I dipped into my own collection to look at Knights of Sidonia Season 2. Although we got the first season in the UK, this is one I had to import. It might be the 3D CG visual aesthetic that stopped it from being a hit, but I quite enjoyed the first season and the story it told, and it left at quite a tantalising point. This might have completed the quintet of disappointment, as Season 2 ditches much of what Season 1 set up to go in a different direction, but in the end, the different direction turned out to be pretty good. I quite like this CG space opera, all Battlestar Galactica with giant robots and tentacles. Bleach Season 12. I am still grinding my way through my least favourite long running shonen show. Bleach at its worst can be tedious, repetitive and long-winded. Some of the battles last longer than whole other series. But once in a while an arc grabs my attention, and around this point in proceedings, it would usually be filler. Season 12 was the Zanpakuto arc, where the Soul Reapers’ swords all manifested as anthropomorphic representations, that apparently mirrored their wielders’ personalities. The arc kicked off when they were suborned by another character for malicious purposes, and our heroes had to fight to regain control of their weapons. But the story ran short, and so there was a bonus stretch of episodes where the Soul Reapers got to hang out with their swords. It meant that Bleach suddenly had a whole new cast of characters, and most of them were more interesting and entertaining than the regular bunch. That the show had just lifted a core conceit from rival Shonen Jump series Soul Eater wasn’t much of an issue, as Bleach was never that good. Anyway, here’s a music video for the 10th opening theme, which you’ll hear in the first half of this arc. 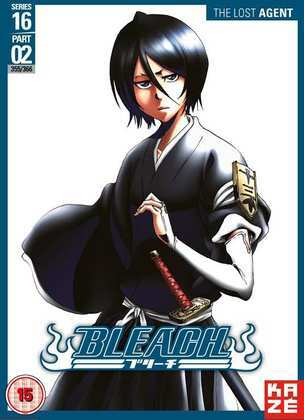 Series 12 of Bleach was released on DVD in 3 parts by Kaze Entertainment via Manga in 2015, and it subsequently got a complete collection as well. Here’s my review for Part 2. You can still pick it up today. MVM released Granblue Fantasy Part 2 on Blu-ray on December 3rd. Manga Entertainment released Kabaneri of the Iron Fortress on Blu-ray/DVD combo on December 10th, They released Assassination Classroom The Movie: 365 Days’ Time the following week, again in combo form. December 17th is also when MVM released Higurashi: When They Cry – Rei on DVD. It has been previously released on Blu-ray in a big collection with the first two series, and it will get a standalone Blu-ray release early in 2019. 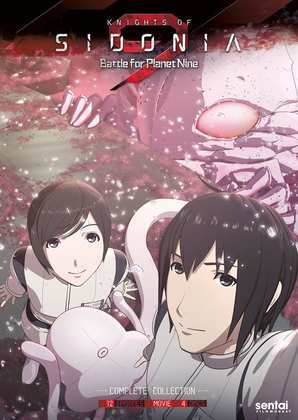 Sentai Filmworks released Knights of Sidonia Season 2 on Region A locked Blu-ray and Region 1 DVD back in 2016.